Our FireFighter™ brand name proudly emblemizes our continuous quest to better serve the global fire and rescue vehicle industry with seating, seating accessories, and SCBA locking systems that optimize user safety, comfort, and performance. The product of this quest is the wide variety of seating choices for the driver, officer/co-driver, and crew, complemented by an ever-expanding assortment of optional accessories and adjustments you will see below. All of our products are built to order with pride, tradition, and quality and are certified to comply with relevant FMVSS, NFPA, ECE and EN 1848:2 performance standards. 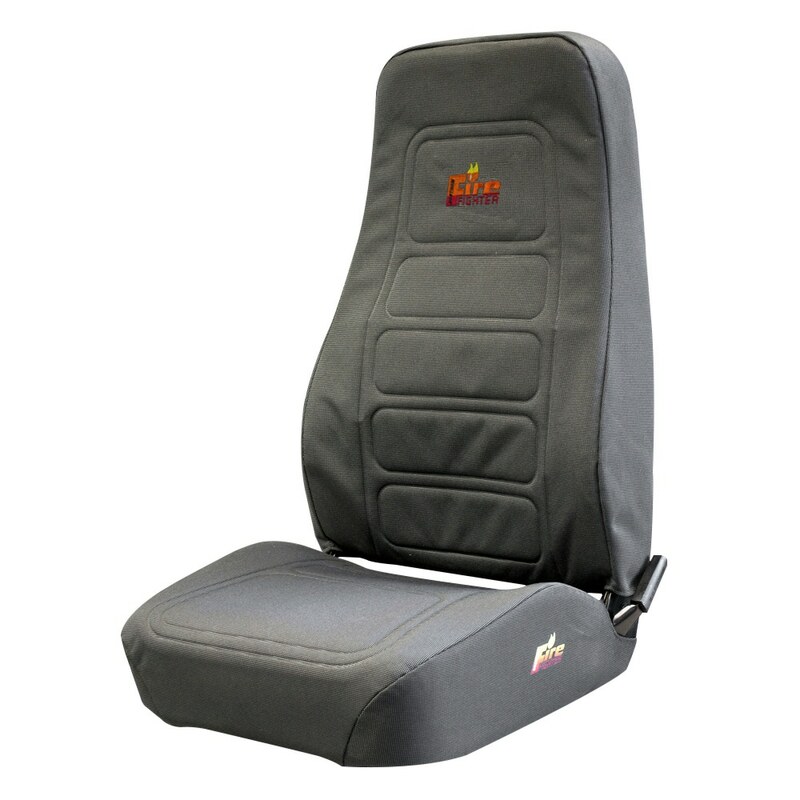 For driver seats see our Sierra series. 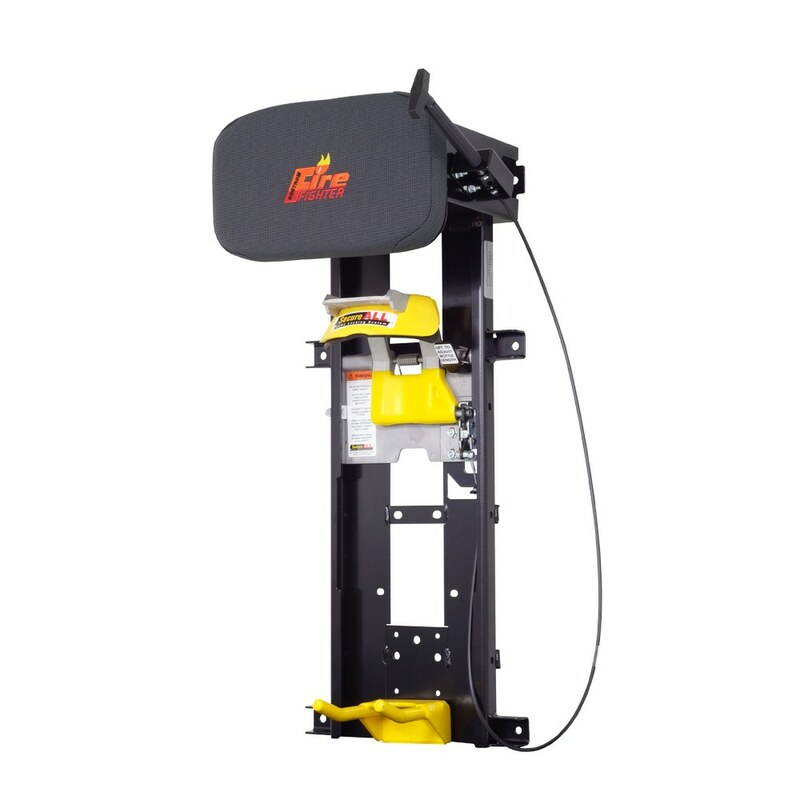 For floor-mounted officer/co-driver or crew seats see our Tanker 500, 400, and 300 series. 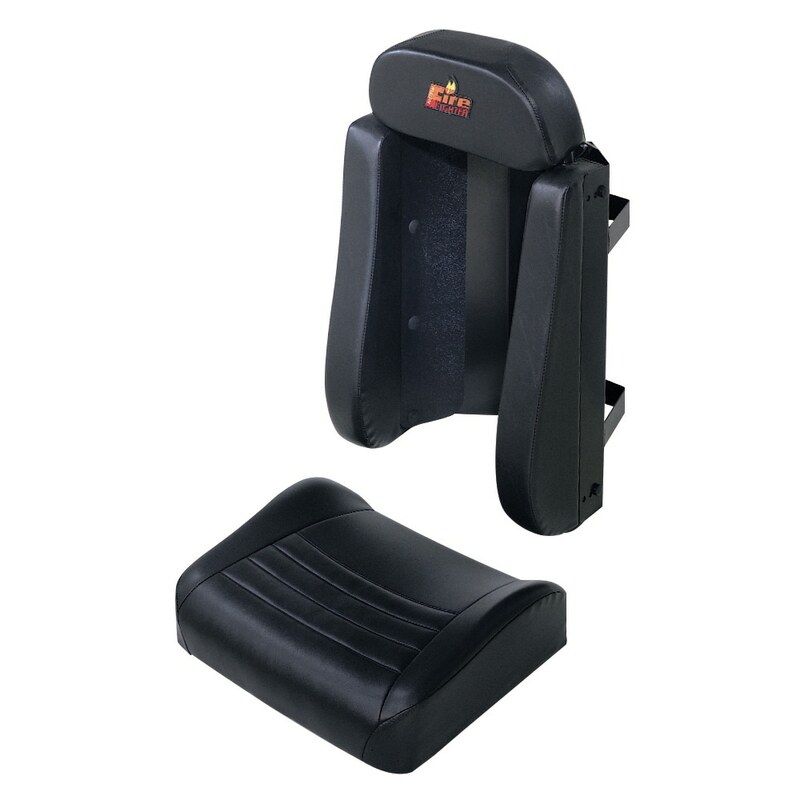 For wall-mounted crew seats, see our Res-Q-Back series or Integra CX and NX. For seats designed for specific commercial chassis click here. 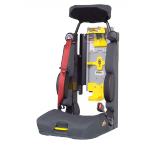 For SCBA locking systems see our SecureAll™ SCBA Locking Systems. 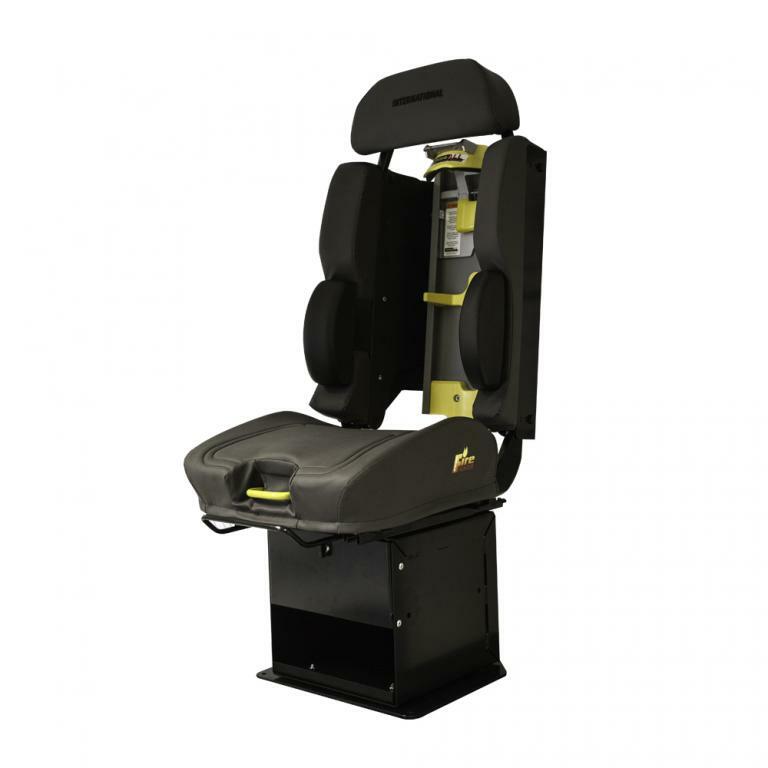 Newest features include RiteHite seat belt adjustment, ABTS dual retractor seat belts, longer ergonomic seat cushions. 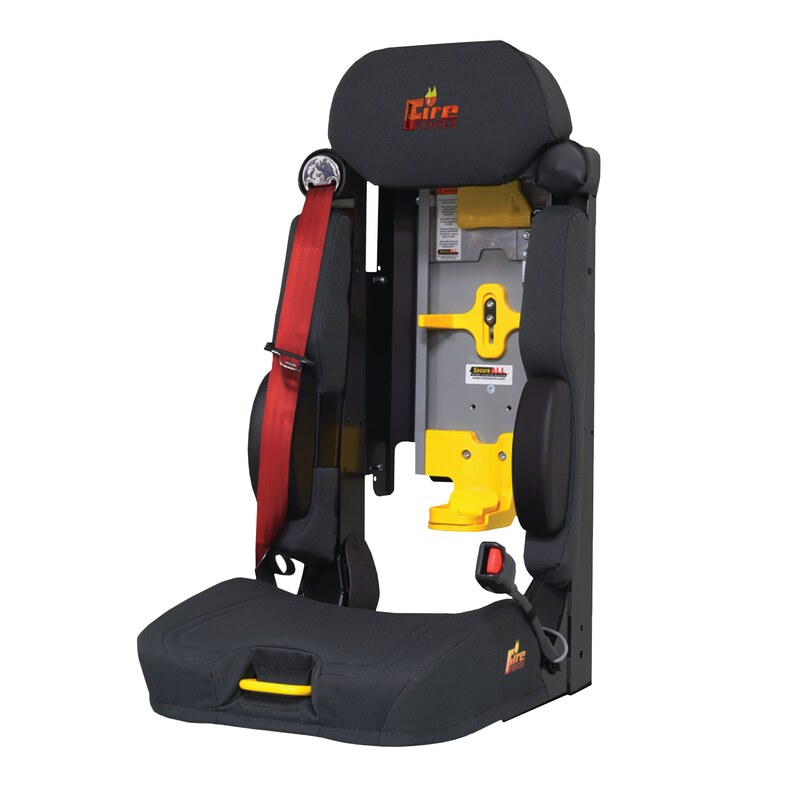 All models come with the industry's only integrated SecureAll® SCBA bracket. 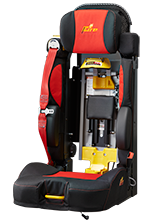 Features include removeable StoreAll™ cushions, power adjusts, shock-isolating air suspension, and adjustable back recline. All models come with the industry's only integrated SecureAll® SCBA bracket. 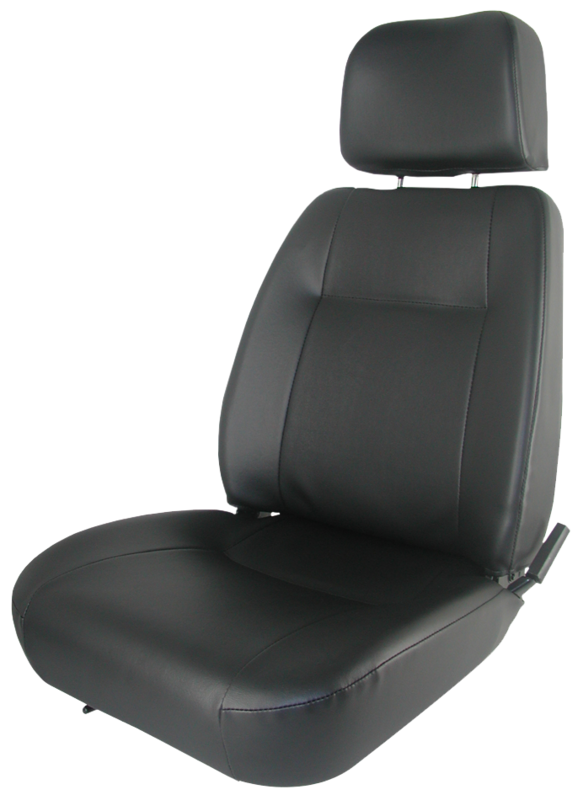 Features include integral 3-point seat belt, flip-up headrest, space saving flip-up cushion, and optional fore/aft adjustment. 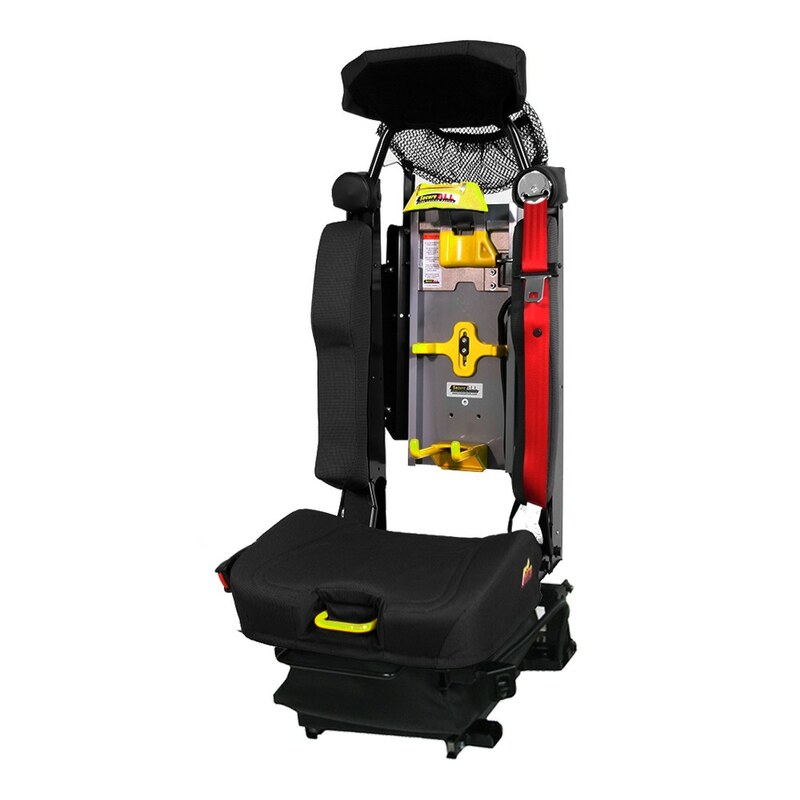 All models come with the industry's only integrated SecureAll® SCBA bracket option. 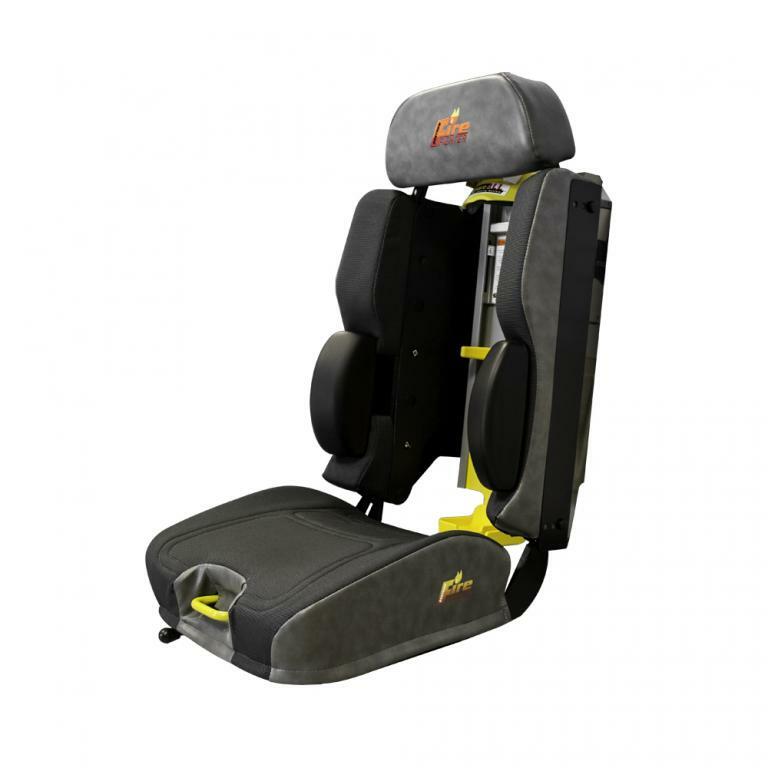 Available with either standard FireFighter or custom headrest logo. (One-time setup fee applies to custom logos), adjustable lumbar support, and optional flip-up armrests. For Ford and Freightliner commercial chassis.